Freshly Remodeled! This is a one of a kind home! Some people wait a lifetime for this type of home. 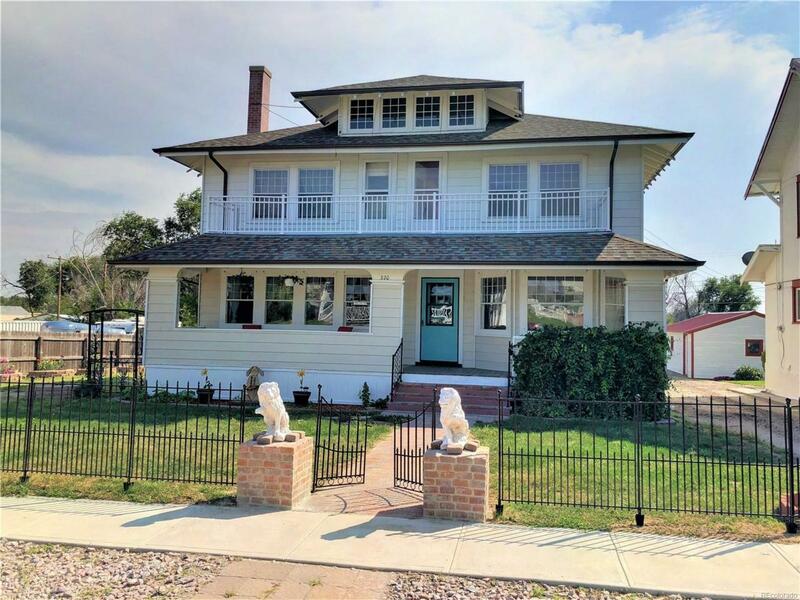 Built in 1916, this home has been totally renovated and is absolutely stunning. With the charm of a Craftsman home built for that era, it has all of the modern necessities. This home features a beautiful parlor off the front entrance. There is a spacious and spectacular living room with a Benjamin Franklin fireplace next to a beautifully, open dining room. Original wood floors have been restored and add an unbelievable ambiance to the home. The second story has 4 bedrooms with 2 rooms having access to the balcony. The basement has been remodeled and features two bedrooms along with a complete kitchen. There is a 3/4 bathroom that is all new along with a large area for a family room or additional bedroom. All of the mechanical and electrical systems are new along with much of the plumbing. New landscaping including beautiful flower beds, have just been added to the desirable yard.